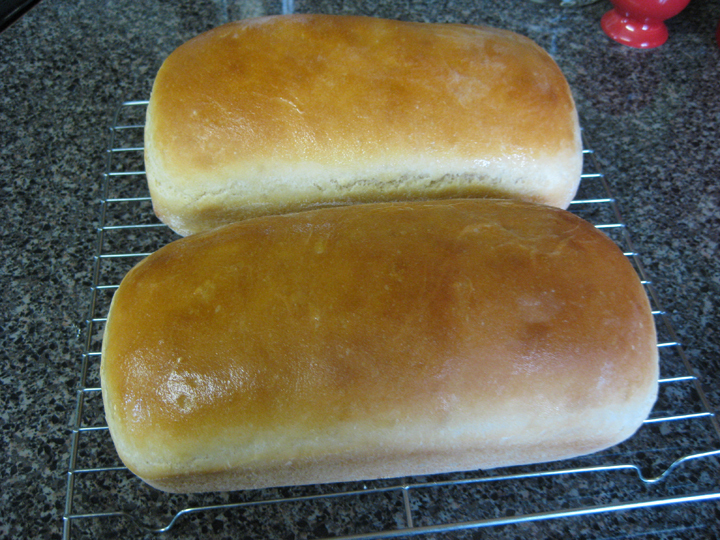 Few things are as cathartic and enjoyable as baking your own bread. The process is long, but not overly intense so it is a project that is best to take during a time when you will be home for a while. I like to mix bread baking with a movie, maybe some sewing, or if I must, some work for school. I was visiting my Mom and Pops last weekend. It was a lazy, quiet Sunday and both Mom and I agreed that some bread baking was in order. Included below is recipe that our family has been baking since I was in 4-H. The recipe came from a 4-H book called More Baking Fun (I don't think it exists anywhere for purchase). 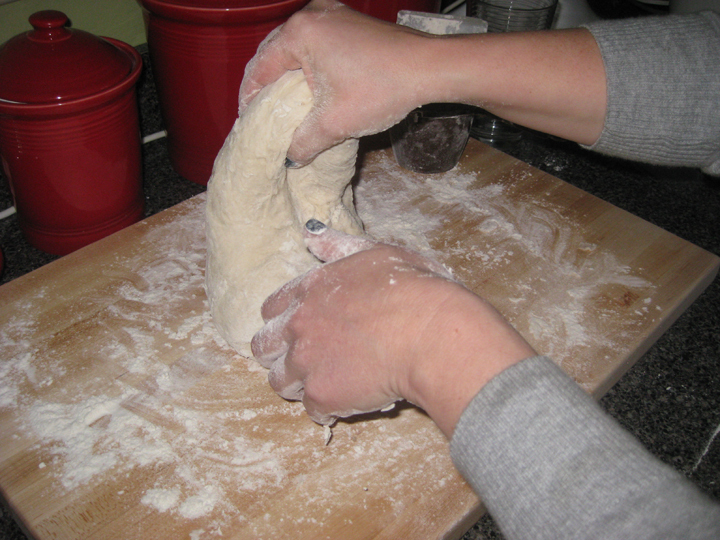 It was great for me at the time as I was newer to baking bread, but I will say that the recpie caught on with some veteran bread bakers, like my Grandma Dickey, as well, so it is a good one! Anyway, here you go. . .
1. Dissolve yeast in warm water. 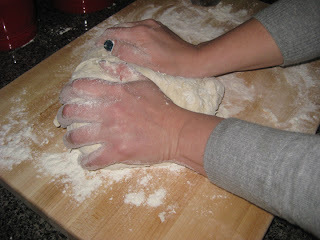 Add two cups of flour and 1 teaspoon of sugar. Beat until smooth. Cover. Let rise until bubble, 1 hour. At this point the dough should look like bubbly, like a sponge (hence the name sponge method). 2. Heat milk, oil, 2 tablespoons sugar and salt. Stir to dissolve sugar. 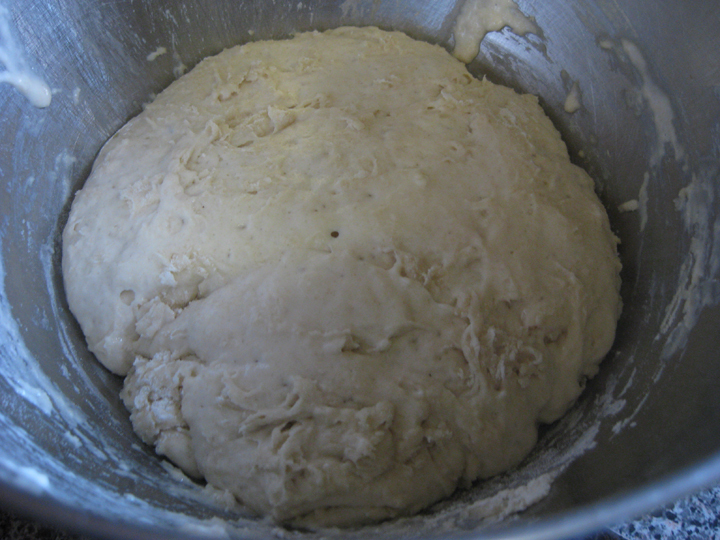 Add to bubbly yeast mixture. 3. Add enough flour to make the dough moderatly stiff. 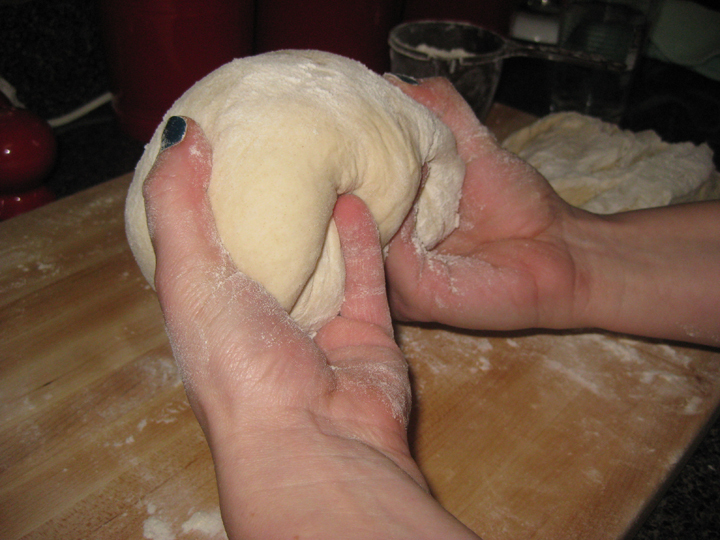 Knead until smooth. 4. 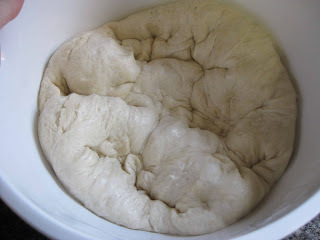 Form into a ball and place in a greased bowl. Let rise for 1 hour. Should be doubled in size. 5. Punch down. Cut in half and form 2 small balls. 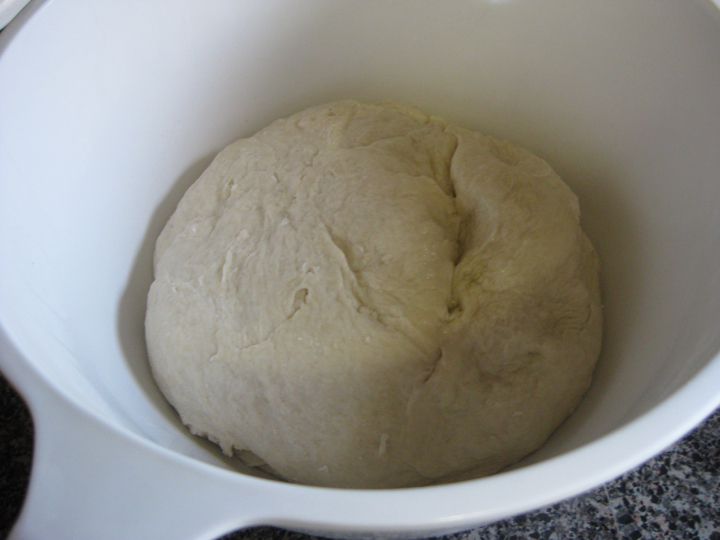 Cover and let rest for 10 minutes. Punch down. The best part! Really punch it down to remove unwanted air bubbles. 6. Grease and flour two bread pans. 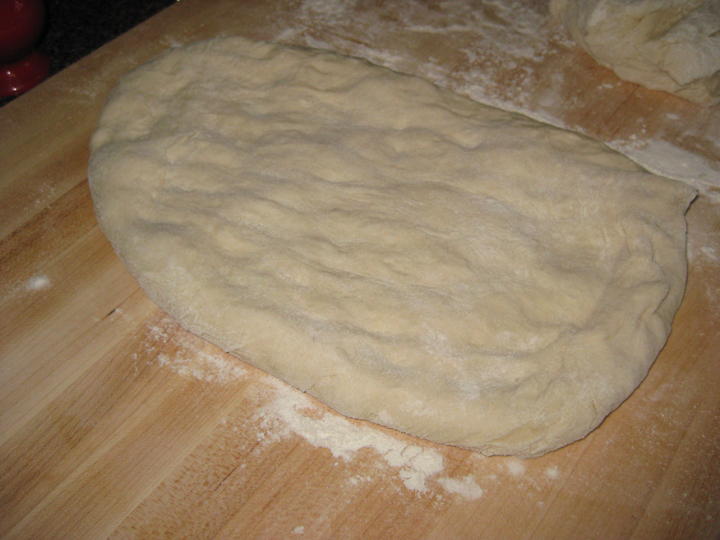 Shape into loaf* and place in pans. Let rise until doubled in size. 45 min - 1 hour. 7. 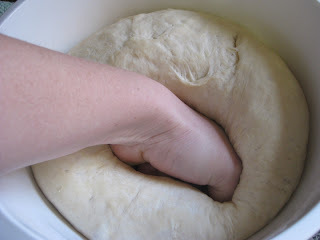 Bake bread at 350 degrees for 30 minutes. Cover with foil for the last 10 minutes of baking time. 8. Brush top with butter. So delicious! Yeah. It tasted as good as it looked! * Shaping the loaf is an important step. If done correctly your bread will not end up with any air holes in it. My Grandma Dickey taught me to do it this way. 1. Flatten the ball out into a rectangle. 2. 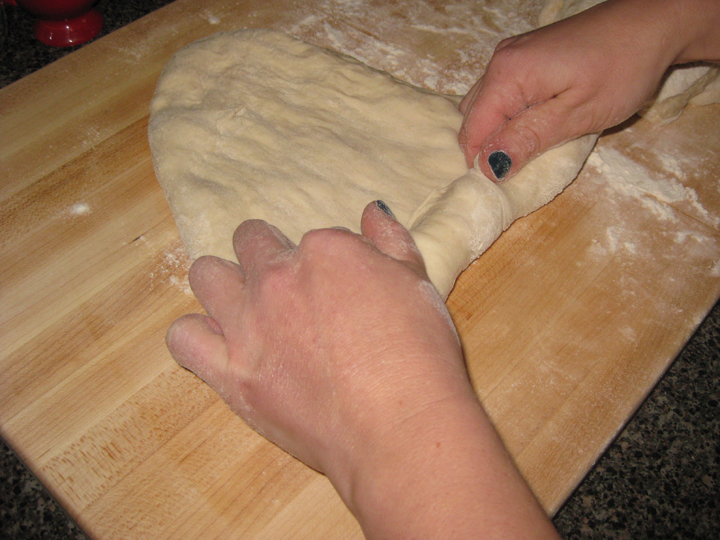 At one of small ends of the rectangle tightly begin to roll up the dough. This will push out all of the air. 3. After the loaf is rolled, tuck the two ends under to make a lovely shaped loaf. Mmmmm...makes me want to bake bread! I don't know what it is about Sundays. I just want to carbo load! Cooking Lesson: Mexican Weekend Feast!